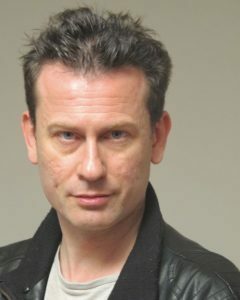 Giles Foreman is one of the leading acting coaches in the UK and throughout Europe and is a specialist in the Methodological approach to acting and notably in the Yat Malmgren/Laban technique known as Character Analysis or Movement Psychology. Giles started as an actor having trained at the Drama Centre London. Giles has worked as an acting coach at the Drama Centre, London, Deutsche Schauspiel Akademie, Berlin, The Forum for Filmschauspiel, Berlin, Creative Education, The City Lit, NODA, Stage Center – Jerusalem, Israel, the Pula International Festival of Theatre, Croatia, the International Festival of Making Theater, Athens, Greece, Fabrika, Athens, Trixter and Eicar in Paris, for FOCAL in Switzerland, GFCA in Luxembourg, at the Centro del Actor in Madrid, First Take Schauspielschule in Koln, and Munich’s Acting Atelier and the Academy of Arts in Cairo. He is a specialist in realism for stage and screen and also the ‘Movement Psychology’ work of Yat Malmgren introducing the work to a new generation of actors in Zurich, Berlin, Paris, Munich, Madrid, Rome, Cairo, New York and Los Angeles. He has run workshops all over the world and is a world-renowned coach for movies and TV series. He was a founder member of EuroCircles – a company created to promote pan – European cultural exchange and has produced a variety of pieces from around Europe – notably Lorca’s IN FIVE YEARS TIME, directed by the Spanish director Marta Momblant-Ribas (Critics Choice – Time Out and The Guardian), and an installation/performance event THE KRANKENHAUS from Berlin. He worked with Visiting Arts (British Council) and the Gate to bring Tbilisi’s Basement Theatre to the Gate’s ‘East Meets West’ season. Giles Foreman trained as an actor himself at the Drama Centre, London under the renowned Christopher Fettes, Yat Malmgren and Reuven Adiv, an academy that produced a host of Internationally celebrated actors including – Anthony Hopkins, Sean Connery, Pierce Brosnan, Anne Marie Duff, Paul Bettany, Michael Fassbender, Geraldine James, Tom Hardy and many others. Giles himself studied alongside Helen McRory, Tara Fitzgerald, Anastasia Hille, Colin Tierney, John Sim, Sean Harris, Anne Marie Duff among others. As a member of the teaching staff at Drama Centre London he taught during a period that produced many renowned actors notably, Michael Fassbender and Tom Hardy. He has coached and or directed huge numbers of actors over the years. To name a few: Santiago Cabrera, Gwendoline Christie, Ryan Gage, Stephen Wright, Ruta Gedmintas, Jaime Murray, Morven Christie, Daniel Sharman, Alex Gonzalez, Lily Cole, Aura Garrido, Alba Gonzalez, Carla Juri, Delia Meyer, Suki Waterhouse, Joel Bassman, Michael Neuenschwander, Merlin Leonhardt, Tonia Sotiropoulou, Catrinel Marlon, Alessandra Balazs, Aleksy Komorowski, Alice Spisa and Miyavi. Theatre credits include; DOUBLE TONGUE (Border Crossings), DON QUIXOTE (Gate Theatre), THE ISLAND (Eurocircles Tour – Georgia, Germany), A LANGUAGE OF LOVE (GIFT Festival, BAC), SHIVAH (Royal National Theatre), AN IDEAL HUSBAND (Peter Hall Company – Haymarket Theatre), Merlin THE BROKEN HEART (Arts Threshold), Aubrey Beardsley in BEARDSLEY (Stage One) and Boffi in Pirandello’s AS YOU DESIRE Me (New End). T.V credits include BONEKICKERS, WARWALKS, THE BILL, 100 PER CENT and his film work includes TRIGGER TIGER, NAPANEE, THE CAVE, SUMMER SUITE, RED WOLF and THE CHANGELING. His directing work includes: ELECTRA by Sophocles (Teatro Technis) DEMONS by Lars Noren, (GFCA) VIRGINIA WOOLF – BETWEEN A ROCK AND A WAVE (Vienna), COMME IL VOUS PLAIRA (GFCA Paris), THE ORESTEIA (Teatro Technis), THE BACCHAE (Teatro Technis), AMPHITRYON by John Dryden (Teatro Technis), DON JUAN by Moliere (GFCA), THE PHOENICIAN WOMEN (Teatro Technis) OEDIPUS REX (Arcola Theatre) THE MERCHANT OF VENICE (Chelsea Theatre) RICHARD III (Courtyard Theatre), ELECTRA (Teatro Technics) MACBETH, THE OTHER SIDE OF THE WALL (Tristan Bates Theatre), HILDA by Marie Ndiaye (Pentameters Theatre and the Edinburgh Festival for the Caravanserai), THE WALL – a piece Giles created and directed after a two year process in which he visited the Saharawi Refugee Camps in the Southern Algerian Saharan desert (performed as part of the Sandblast Festival Nov 2007), THE TEMPEST (Central School of Speech and Drama), DR FAUSTUS (The Caravanserai at the Bridewell Theatre), TRENCHES (Pentameters). He co-wrote and directed KICKING OSCAR’S CORPSE (Man in the Moon – a true story dealing with human rights in Syria – the idea arising from a journalistic trip), JOAN OF ARC, THE MAYOR OF ZALAMEA, BRITANNICUS, A MONTH IN THE COUNTRY, SIX CHARACTERS IN SEARCH OF AN AUTHOR, AS YOU LIKE IT (Drama Centre, London), PARTY TIME (Landor Theatre), THE SUSPICIOUS TRUTH by Juan Ruiz de Alarcon (Garage Theatre) and ARMENIA – A THOUSAND BRANCHES (Hellenic Centre). Giles has also directed two short films: JOB’S DINNER starring Maureen Lipman and OLEANDER. He produced the 2017 Oscar nominated LA FEMME ET LA TGV and cast Jane Birkin in the title role.